Founded in 1988, Baoshen Science & Applied TechnologiesCo., Ltd is one of China’s leading packaging material suppliers for footwear, apparel, bags, furniture, cosmetics and accessories, etc. We love packaging and we have what it takes in both paper and plastic packaging products. Upholding the spirit of innovation and the Belt & Road policy, we allocate 25% of our annual profits for research & development and have invested more than RMB679 million (US$97 million) in factories and equipment. Baoshen owns 21 HP industrial digital printing machines, made in Germany, US and Israel. This makes us the biggest HP printing enterprise in Asia with a daily capacity of 20 million items, including labels, hangtags and RFID labels. We make 1 billion RFID labels per year, all 100% quality inspected. We are an acknowledged leader in R&D and Information Management Systems providing leading technologies and competitiveness within the industry. 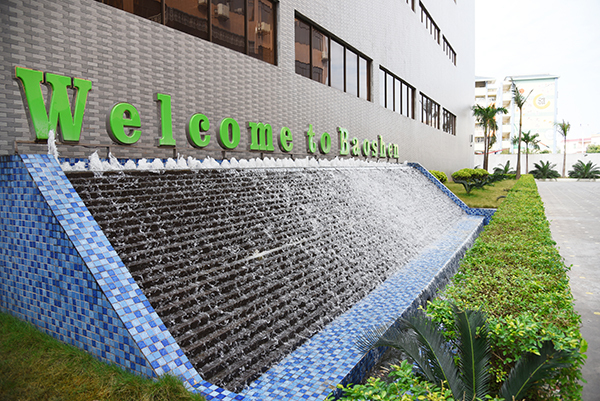 Baoshen also leads the way with a wide range of patented products all of which meet the requisite international environment standards. Many of our products and technologies are awarded with China’s New High Patents of Invention and Patents for Utility Models including Smart Technologies such as RFID for IOT, Collection, Analysis, Tracing & Identification of Data, the Production Origin-Ex-factory Date-Warehousing & Logistics Tracking-Store Sales Performance System, Positioning & Identification, Anti-theft, NFC and Products Micro-inquiry by APP Data Link, etc. Baoshen has become a professional supplier providing a one-stop service for RFID labels including hardware and software to help a smooth transition to RFID implementation. The rest of our core services and products include: colored UPC labels, printed woven, TPU & PU labels, size labels with ‘one code against one object technology’, anti-counterfeit cold transferred & heat transferred labels, self-adhesive stickers, wrapping tissues (with anti-mold function), paper & plastic hangtags, LDPE bags, cloth bags, plastic & paper hangers, bridles, leather crafts, etc. Currently, Baoshen is proudly serving more than 500 clients located in 16 different countries and regions such as China, USA, Europe, Brazil and Southeast Asia.